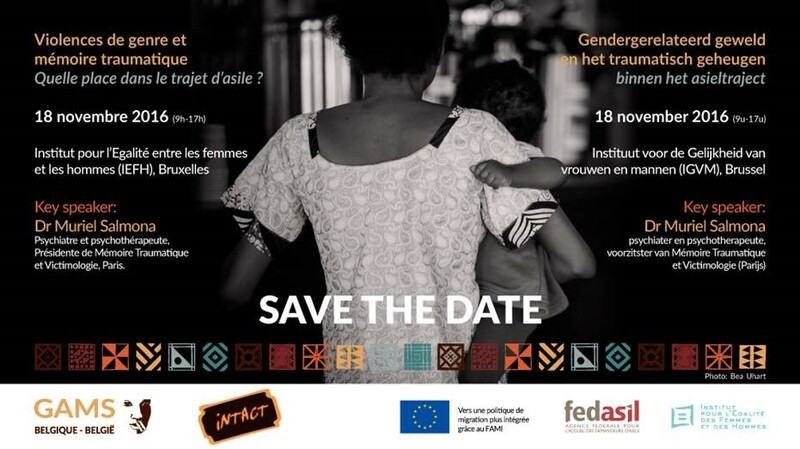 On Friday 18th November 2016, GAMS Belgium and Intact npo will organise a colloquium about gender-based violence and traumatic memory within one’s route as an asylum seeker, during which will be focused on psychological aspects! More information will follow. No Replies to "SAVE THE DATE - 18.11.2016 - COLLOQUIUM GAMS & INTACT"